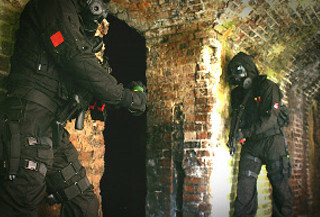 Airsoft Elite Counter Terrorist combat session near Christchurch in Dorset. Learn amazing counter terrorism techniques from the professionals. Fascinating and thrilling in equal measure. In your Airsoft combat day you will be handling a variety of weapons in varied situations like ambush combat in different arenas. Morning of hands on tuition from our professionals with “walk through-talk through” scenarios and training. Our ex military professional will teach advanced weapon handling relevant to CT operations. Room clearance and method of entry training. Real-time hostage scenario this will be their team up against our resident professionals with tough objectives and missions. Was a really good day - although we finished at 4 as people were starting to flag. The organisers were really nice but should maybe take the activities a little less seriously and realise that its a game and not real!! Brilliant. I am so prepared for anything to happen to me. The next terrorist who so much as yawns is finished. Recommend this and the guys are so intense as well!